The aims and objectives for workshops are to stimulate an appreciation of the art of quilting; to encourage fellowship; and to share, learn, teach and promote old and new ideas, techniques, designs as well as information regarding quilting. They also encourage participation in our Comfort Quilts and Preemie charitable endeavours. Our committee aims to reach all levels of quilters, from beginner to advanced, and to make the workshops affordable to all members of the guild. This was a very well attended workshop with Elaine Quehl. 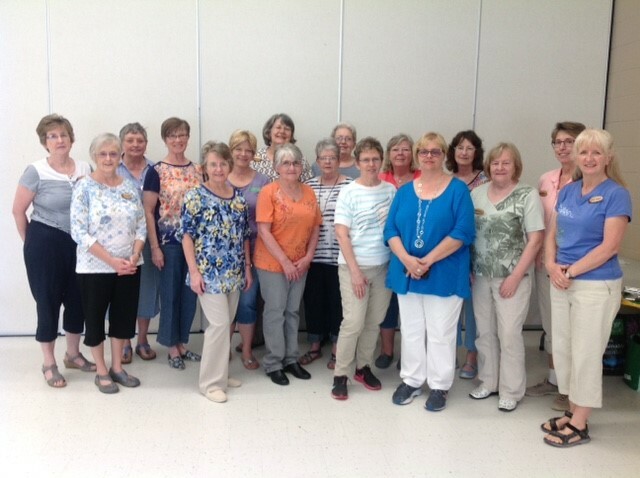 Elaine spoke at our Quilt Guild meeting Wednesday May 18th 2017 . She described her quilting jouney and her current joy the creation of art quilts,particularily of hostas, poppies and peonies. At the workshop Elaine demonstrated how she puts her art quilts together and then the group proceeded with their own poppies and peonies. Many of us have loads of homework to keep us busy through the Summer. Thanks Elaine & the Workshop Committee for a very enjoyable course.